Better discovery through the best metadata management. BestMARC sets the standard in metadata management. Our best-in-class online MARC management system makes processing and maintaining MARC records fast, easy and convenient. With up-to-date, accurate metadata for better discoverability, you’ll extend the value of your library’s collection. 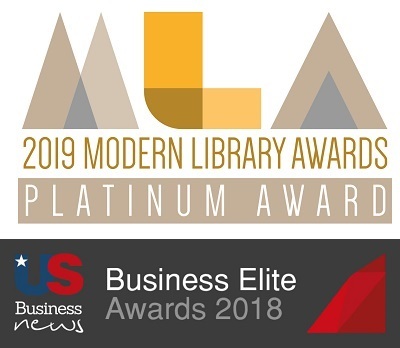 The Modern Library Awards (MLAs) is a program designed to recognize elite products and services in the library market which can help library management personnel enhance the quality-of-experience for the library user and increase the performance of their library systems. The customizable BestMARC tool is your complete online solution for managing your MARC records. It’s never been easier to create, edit, and share your records. CREATE – search or catalog records quickly from scratch. EDIT – fix errors, run enhancements and global edits, and group them into workflows. SHARE – global edits, workflows and templates are shared seamlessly between users, and can be re-run with ease upon import into BestMARC. Learn more about the best first step in connecting readers with the library resources that they are looking for with a free demo today! Customizable to work for you. From single libraries with independent catalogs to large districts with union catalogs, our team works together with you to create the perfect BestMARC solution to meet your needs. Add an upgrade to your subscription to make BestMARC even more powerful. BestMARC Plus comes with streamlined record enhancement features and other key benefits to save you even more time. BestMARC Global adds customizable features for global edits and automated workflows making this our most powerful subscription. Our team is always ready to support any cataloger with BestMARC, from novice to seasoned professional. With tutorials, webinars, detailed instructions, or even live support, we’re there when you need us. We’ll make sure you get the most out of your catalog.